Q: Tell me about the differences between milled and stamped receivers? A: They are made differently...one is machined from a block of steel. The other is a single pressed sheet of steel that is then folded into a U shape with rivets and pins. They take the same forearm furniture though its of different shapes. Their buttstocks are not interchangeable. Q: Will my Yugo Sporter take standard furniture? 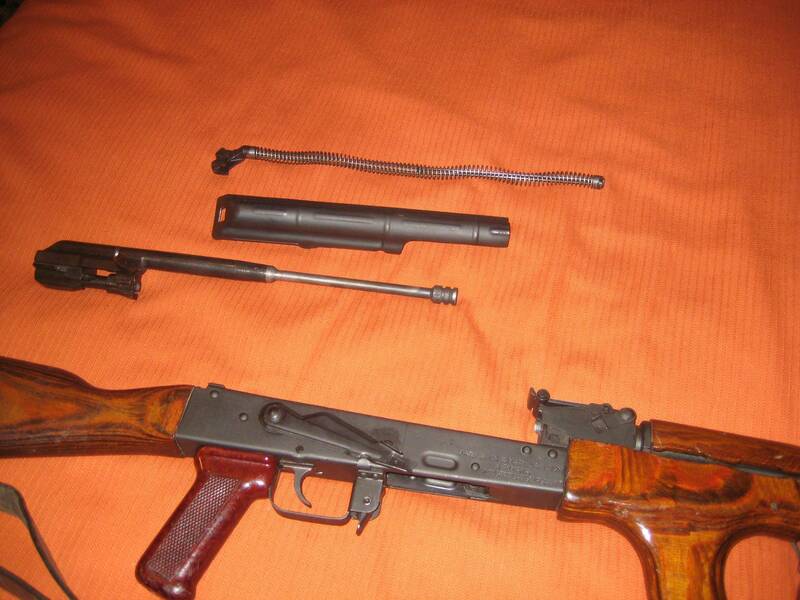 A: No, the Yugo's handguards are longer than standard. Its buttstock is held onto the rifle in an entirely different way too. Only pistol grips can interchange. Q: Will my Tantal Sporter take standard furniture? A: It will take any standard fixed buttstock for a stamped gun and any right-hand folding stock that uses normal rear trunions. It will also take standard pistol grips and lower handguards. the only part that is unique on the Tantal is the upper handguard. Q: Can I put one of those K-Var solid side folding stocks on my rifle? A: Probably not, unless your rifle is say one of the ORF AKS-74 builds. The K-Var stock is a left-side folder, which uses a totally different rear trunnion, separate latching piece, and even a different receiver. To modify say a WASR to use one, you'd need to make quite a few new holes in the receiver and change the angle of the back of it too. Its just not practical. Just by an Arsenal SLR if you really want a rifle with that stock. If you do have an ORF AKS, then go for it. Nothing could be more simple. All you need do is drive out one single pin, take your old stock off, put the K-Var stock in, and drive the pin back in... Done! Q: Are WASRs made from rejected military parts? A: No concrete evidence has surfaced to proove this is the case. Rather in recent years they have begun building WASRs from actual military rifles so by definition they can't be of reject parts. If there is a triangle with an arrow in it or just an empty box on your front trunnion, then your WASR was made from a real military gun. Q: What's the deal with SGLs? Why not just buy a normal Saiga? 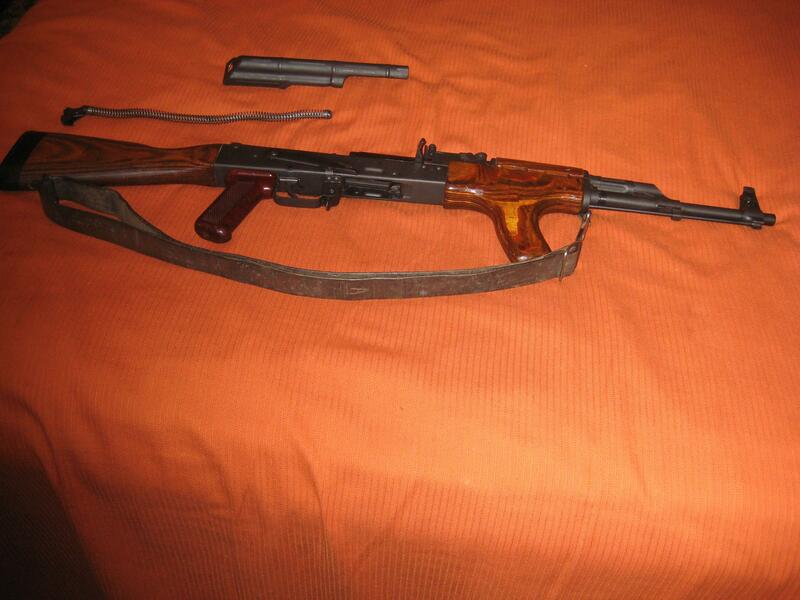 A: They were never Saiga Sporters with a pushed back trigger group and hunter furniture. 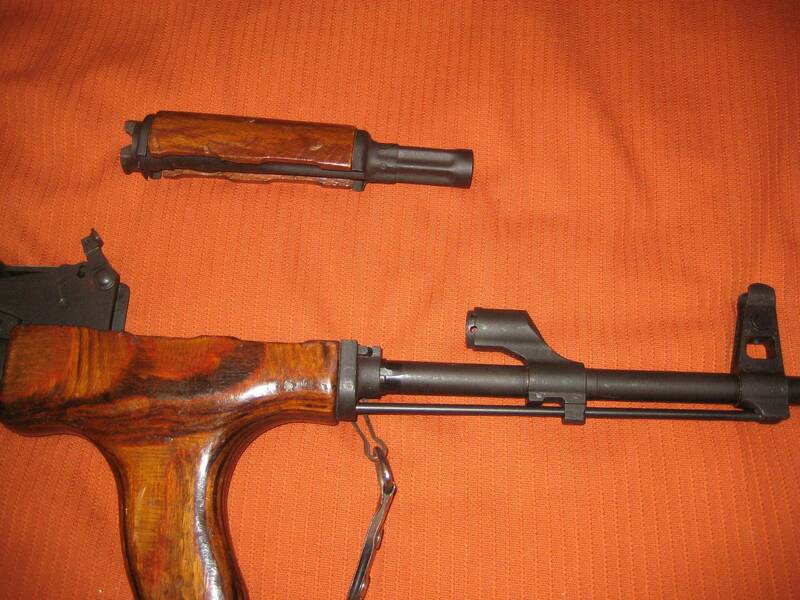 They were made as thumbhole stocked guns with their triggers in the right spot and with normal forearm furniture. Also they have markings that more closely resemble Russian military ones, than the Saiga Hunters do. Finally, their receivers have the dimples on each side of the magwell, to complete the military look. In short, the reason to buy an SGL is to get a rifle that closely memics a real Russian AK-74M/AK-103, but without the folding stock. Q: I see PSLs but no SVDs. Why isn't someone importing or building an SVD clone? A: They are banned from import by the 1989 restrictions by name and in 1994, Russia agreed to stop exporting hunting versions of the SVD into the USA. No one is making one here because it would be too damn expensive and a US made SVD would loose its Russian mystique. In short, it's not profitable. 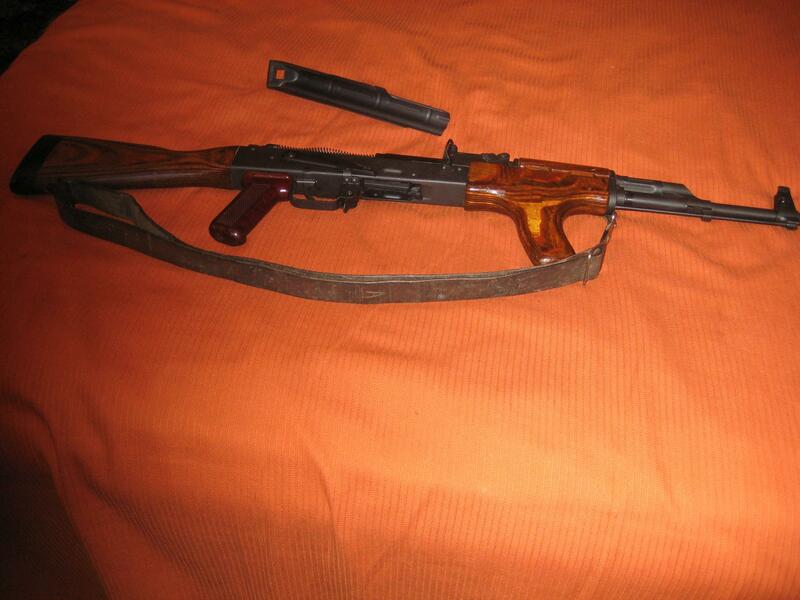 Q: How do I field strip my AK? 5) Take the bolt out of the bolt carrier. Push the bolt back until it impacts the rear of the bolt-carrier and then rotate the lugs out of the way. When it is in the correct position you can then push the bolt forward and it will come out of the carrier. 6) Remove the gas tube. Now that the bolt-carrier is out of the rifle, you can remove the gas tube, which houses the upper handguard. Look on the right side of your gun, on the trunion, just below the rear sight. You will see a lever. Move it clockwise to about the 11:00 position. This might require a good amount of force so you might want to use a small hammer. On other guns, this lever can be moved by hand. When the lever is in position, you just lift the gas tube off. On rifles with the AK-74 style spring-loaded gastube, you will need to push the tube rearwards a small amount, and then lift it off. This is as much as you should take your AK down, for standard cleaning. Do not remove the lower handguard excessively or it could become loose. Buttstock is held in place with 2 screws. Just remove these and pull it out, if you are replacing the stock. Otherwise do not remove it excessively either. Lower handguard is held on with a lever and spring clip. Removing the barrel is not a good idea either. Only do this if it is100% neccessary. Q: What's the difference between 'Warsaw' and "NATO' length stocks? A: Short answer, NATO is longer. 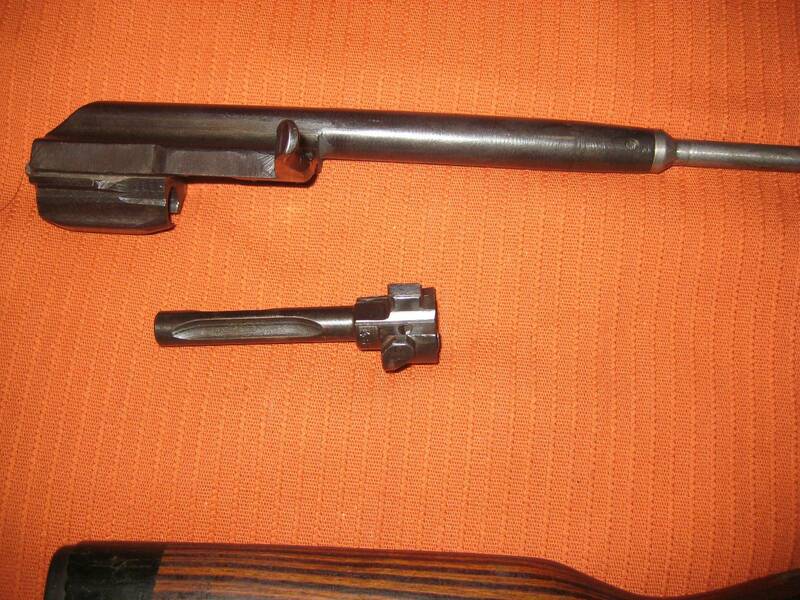 The Warsaw stock was the standard length used in most all of those nations during the Cold War. The NATO length is based on the length of the M16A2's stock. The NATO is 1" & 1/4th" longer than Warsaw. There is also an intermediate length stock which is 3/4th" longer than Warsaw and is currently being offered for both milled and stamped receivers by Arsenal USA. 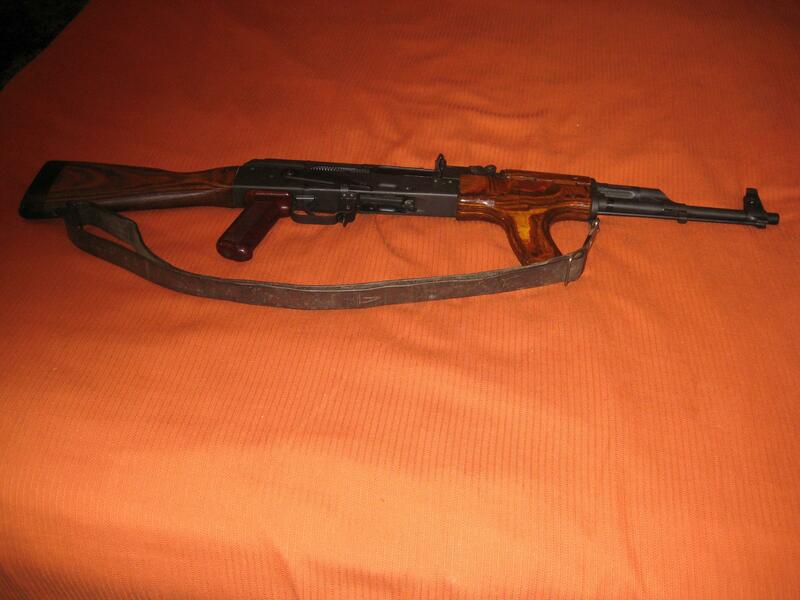 Q: I'm thinking about building a stamped AK and I need a receiver. What do the percentages mean? A: A 100% receiver is prebuilt and ready to have the trunnions riveted in. These are serialed, and must be transferred through an FFL just like a completed firearm. An 80% receiver is a length of square steel tubing. While this can ship directly to your door (no FFL), you will need to drill all axis pin and trunnion rivet holes, as well as cut out the magazine well and install the center support and internal rails. A 0% receiver (or 'flat') is simply a piece of sheet metal that must be bent into a receiver shape. Most flats have the holes predrilled and the magazine well already cut out, but you'll still need to install the internal rails and center support. With good quality 100% receivers available for a reasonable price, there's really no need to invest in the tooling to build up an 80% or less receiver. Max's site. He lives in St. Petersburg Russia and has a lot of first-hand AK experience. Links to different field manuals related to the AK.